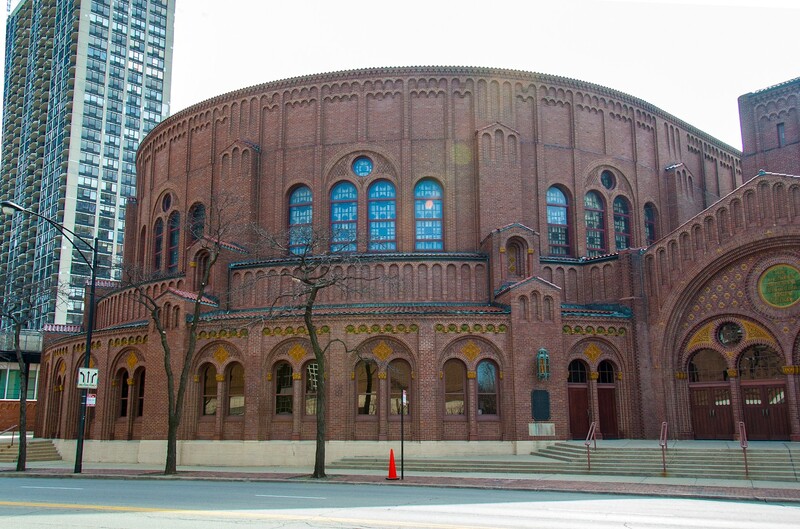 The Moody Church is one of the grandest Romanesque-Revival churches in the United States. It was designed by Fugard and Knapp and completed in 1925. 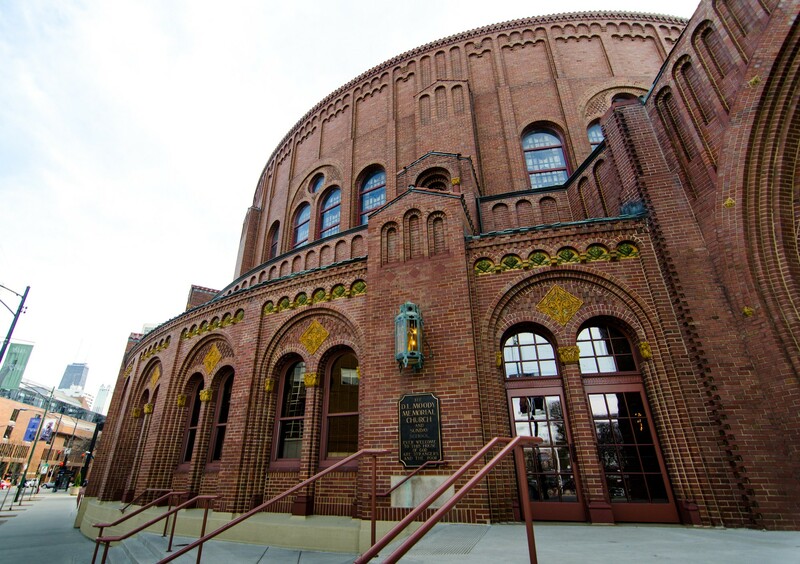 It borrows elements from Byzantine architecture. 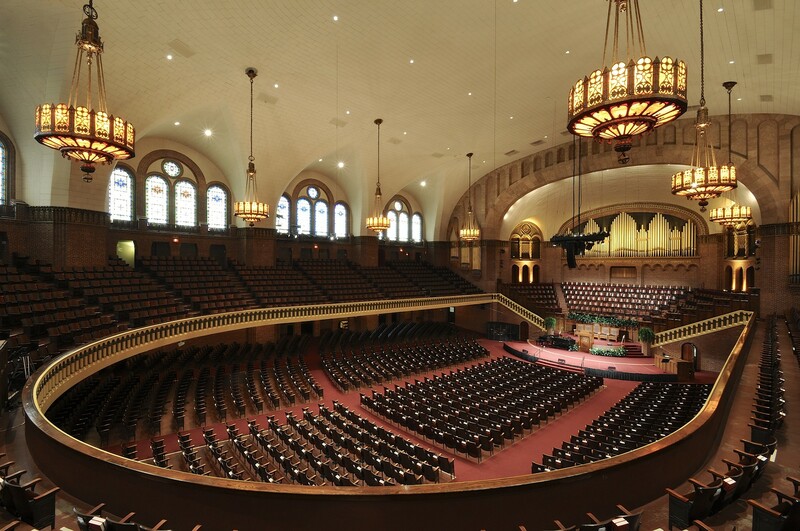 The 3,700-seat sanctuary is the largest column-free auditorium in Chicago. 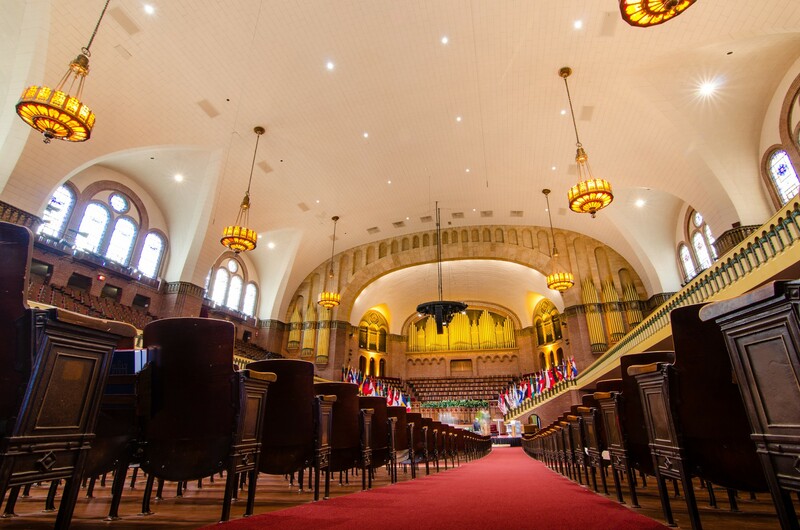 The building features a 68-foot-high false ceiling and nearly perfect acoustics. 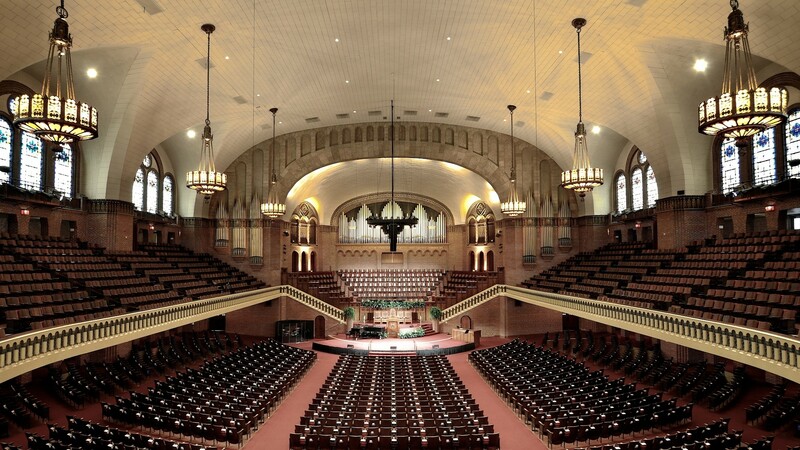 Its 36 unique stained-glass windows and sprawling dimensions have made it a Chicago icon. A rooftop deck with panoramic views of the Lincoln Park lakefront provides space for large events. 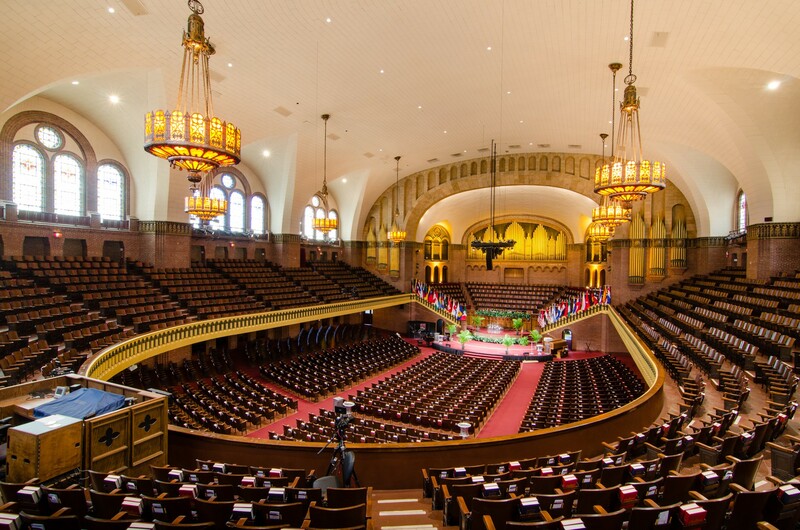 The church is named after famed evangelist Dwight L. Moody.